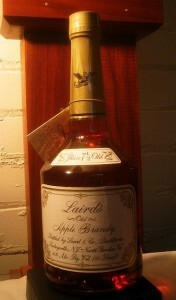 Notes: Lairds is one of the oldest distilleries in the United States dating from 1698. 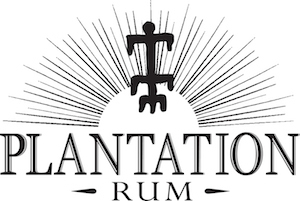 They use whole, tree ripened apples and naturally occurring yeasts to produce their product which is fermented, pot distilled, then aged in charred oak barrels for 7 1/2 years.They also produce a 12 year old Apple Brandy and a blended Apple Jack. Appearance: Clear, no sediments, a yellow cast to it compared to a cognac of similar age. Deep straw gold color. Light coating on the glass when you swirl it, crenellated edge developing. First Impression: Pepper and /mint with dark fruit and some cocoa notes on nosing. Slight acetone/esters smell. Round bodied, mouth feel, spicy bite on the tongue. Taste: Caramel, baked toffee/apple, vanilla, cardamom, nutmeg notes to it, lingering notes of tobacco, crystallized ginger. Medium length finish. Drinks: We tried a a number of drinks, works well as a sweeter, smoother substitute for some bourbons in Manhattans or Old Fashioned’s, etc. Same for cognac drinks. Also there are a number of recipes available from the web site, if you write to them they will send you some better ones that also are more detailed. A interesting spirit that could yield some good cocktails and cheap enough to experiment with without too much pain. A promising base ingredient to break some new ground in mixology – especially in the brown drinks category/field which has not seen as much innovation as some of the others. Cigars: The brandy’s zest works well with a decent cigar. Not sure of a exact pairing. 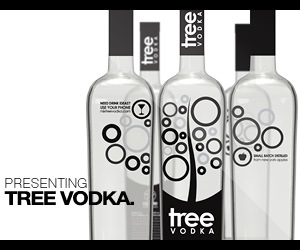 Bottle: The bottle is somewhat bell shaped – much like the van Winkle or Weller bourbon series. Pressed glass fluting at shoulder of bottle distinguishes it from the above.Old fashioned label and script give it antique feel and slightly upscale look. Parchment like hang tag and brindle gold complete the package.Info on hang tag is a bit terse – personally I would mention the pot distillation and charred barrels. A somewhat spare affair – minimal graphics and information, some basic recipes – adequate.